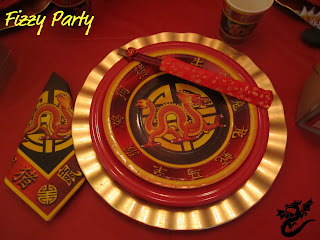 Welcome Year of the Dragon. This is my brother's year, he's a dragon. I have to wait until 2019 for my year, I'm a pig. Oh you bet my brother had a good time making fun of me for that. I prefer wild boar, they're feistier than pigs. 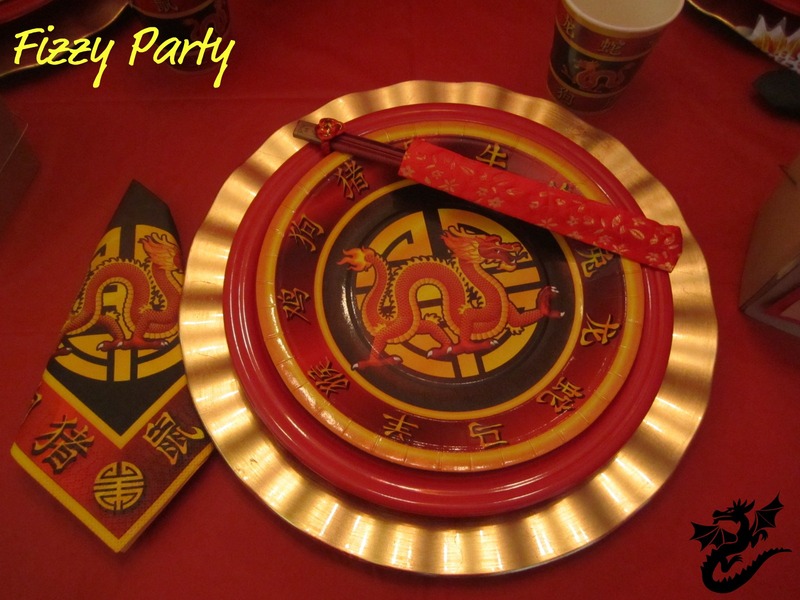 This is my first Chinese New Year party. I had a mini party with 3 friends. I'm feeling the mini parties this year. Are you going big or mini this year? I love the colours of the Chinese New Year. 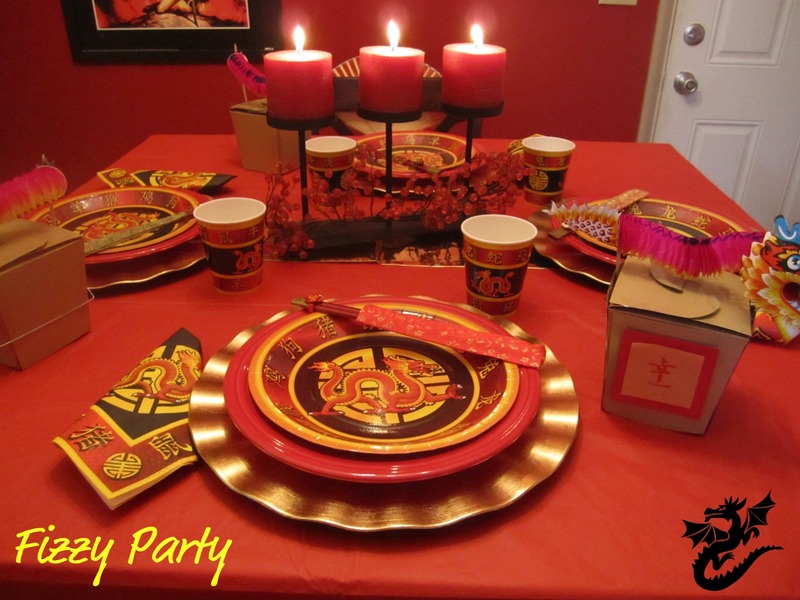 Red and gold just POP! 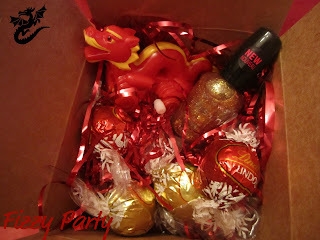 Wind up dragons for the Year of the Dragon, Gold nail polish, and Lindt chocolates in red and gold. May the Year of the Dragon bring you good fortune and happiness. I love every last detail of this party! The fans on the back of the chairs - brilliant! aww, Thank you :) I had a lot of fun with this mini party. My friends said the same about the fans :) Thanks. This was a fun little luncheon! 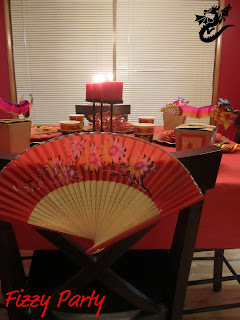 It was nice to around a table and really chat with the whole (small) group. And it looked great! Thank you TheMistressT. Looks like small parties are a HIT! I love the mini party idea. 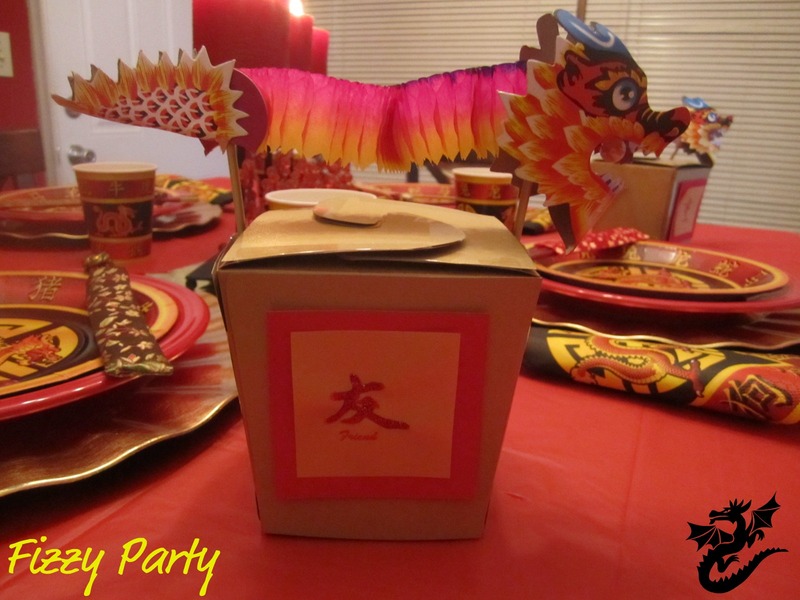 The take-out boxes full of fun goodies are so cute! Thank you for stopping by and leaving some blog love.